In this post, I will show you a few basic git commands that I use every day. I usually use the first option, because I already have developed something locally and I’m looking to commit my code into bitbucket. They only show you there two commands to get started with, but I always get an annoying error every time I try to follow their commands. Do a ‘git init’ in your project directory. Do ‘git add .’ adds all the content in your directory to a stage where they’ll be ready for the next commit. Do ‘git commit -m “Add your message here.” ‘ this will commit the files you just added. 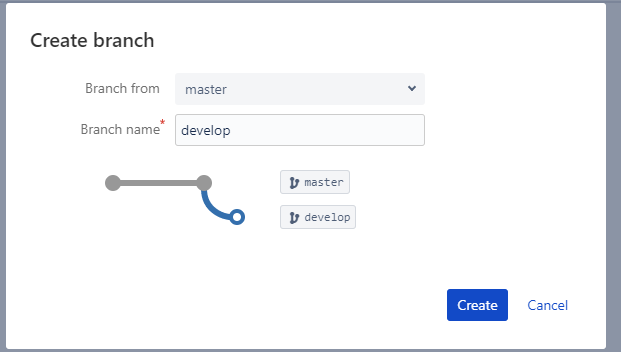 Do ‘git push –set-upstream origin master’ to push your commit into the master branch in bitbucket. Your files are now committed to the master branch of your project, in bitbucket. This solved the error above. Optionally, follow the next steps to make sure your files have been committed and you check out your development branch. As a developer, when working for a production system or any project in general, you should follow the Git Work Flow. Please read more details about it here. only when the develop branch is building correctly and it has been tested it can be merged into the master branch. Do ‘git status’ to check the status of your files. Do ‘git branch’ to check how many branches are available. Go to bitbucket and create a new branch. Do ‘git fetch && git checkout develop’ . This will do a ‘refresh’, see what’s new and will then check out the develop branch. In conclusion, using Git is really easy, you just need to read the documentation and understand what commands you need to use. The commands above are the ones most developers use on a daily basis. Remember to commit as much as possible or at least once a day, when you finished developing stuff.